Are you getting ready for a capital campaign? If so, here’s an important idea you need to know that may make all of the difference between a successful campaign and one that is lackluster or even falls short of its goal. You can (and should) use the planning that leads up to your campaign to engage and involve your most important donors. This may sound simple and obvious, but it’s not. Because if you’re like most people, you don’t think you should approach your largest donors until everything is perfect — until all those I’s have been dotted and T’s have been crossed. 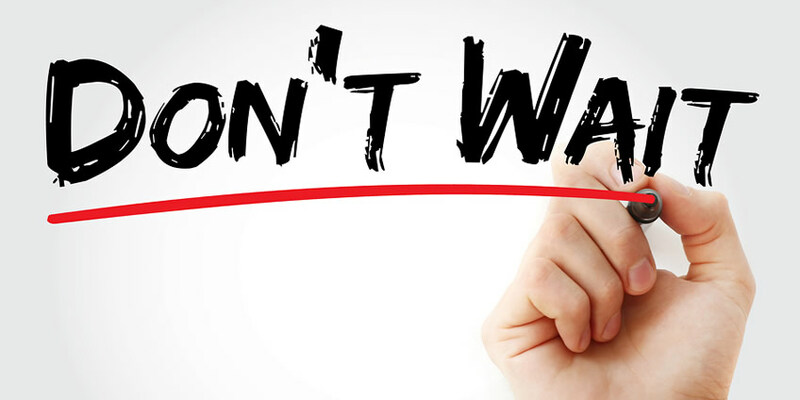 You may be justly worried that if you approach them when your plans are still somewhat formative (that messy stage of planning), then they will think poorly of you and your organization. When you are going to ask someone for a large gift, as you will be doing with your capital campaign, you don’t want your first approach to that donor to be about his or her gift. Instead, you want to discuss your project and ask for their advice and opinions about the big project you are planning. Think of your largest potential donors as partners in the planning process. Make a list of the things they might advise you on. That list will be different depending on the donor. You can ask for project advice, fundraising advice, or advice about people in your community who might help. But beyond just asking for advice, you can invite them to get involved. Perhaps they will host an event with other key community members to discuss your project. Or maybe they’ll agree to serve on your campaign planning committee. When you stop thinking about asking your largest potential donors for money and think instead about other ways they might help, you’ll find that your relationship with them is likely to open up. Because capital campaigns usually raise money for something exciting and inspiring, they provide wonderful opportunities for engaging your largest donors. Don’t wait until you pin all of the details down and you’re ready for money. That’ll be too late. Start in the early Pre-Campaign Planning phase of your campaign. 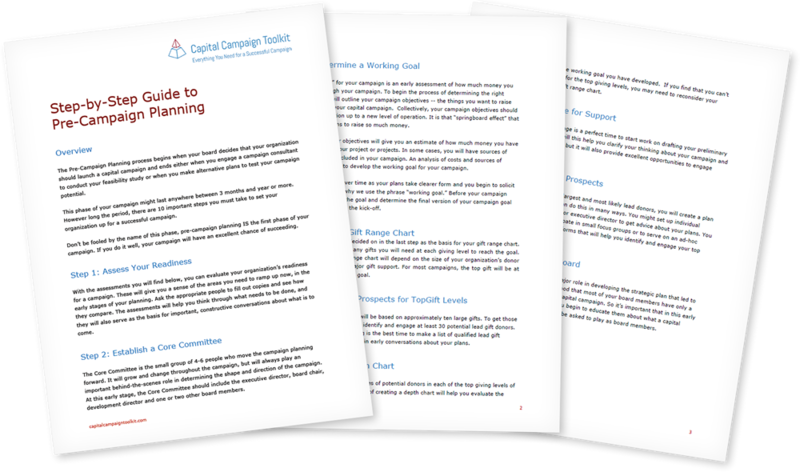 The Capital Campaign Toolkit has a complete section and step-by-step guide for this all-important first phase of your campaign. This Pre-Campaign Planning phase occurs long before you hire a consultant to conduct your feasibility study. 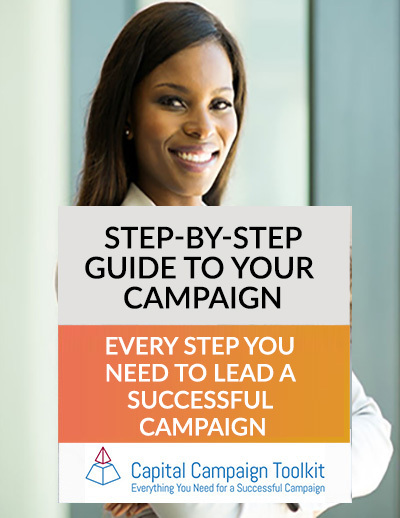 It’s a crucial period during your campaign and it can set the tone of your campaign’s success. With a number of excellent tools devoted to this often overlooked phase, the Toolkit truly does provide you with everything you need for a successful campaign.